It’s time, Star Wars Fans. The full Last Jedi trailer has been revealed and now we must SECURE OUR SEATS for the Epicness that is Star Wars 8! 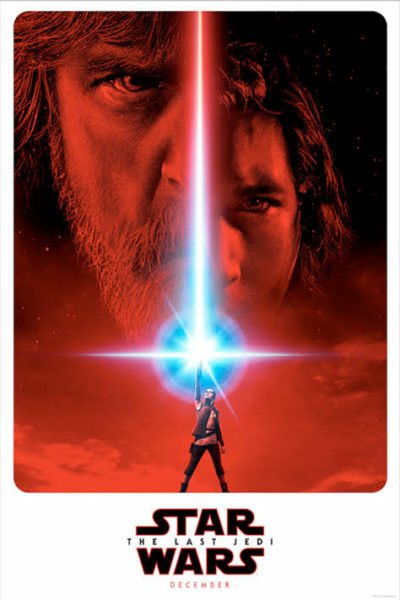 And not only is it great that we can nab those tickets for a mid-December movie release before Halloween, but we can score a FREE LAST JEDI MOVIE POSTER when we get them through this link! It’s a great time to be alive. Check out our Favorite Star Wars Tees as well as our Favorite Star Wars Schwag to get geared up for the Big Event! My family will be there opening night, and we will absolutely Fandango our tickets through you first.